At Bonnie Doon, we pride ourselves on our practice facilities which were upgraded as a part of Stage One of the Ogilvy Clayton Masterplan. 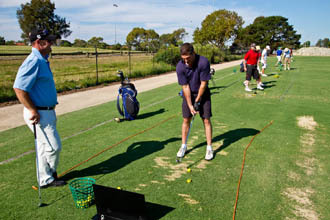 This is one of the best practice facilities in Sydney with a full length driving range and large short game facility with a 65m long green complex surrounded by five bunkers. 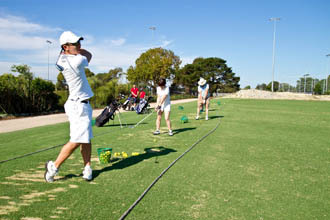 Practice facilities are for the use of members and their fee-paying guest only. 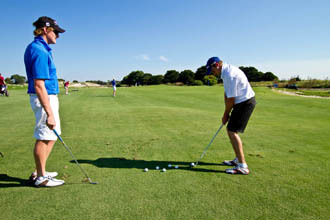 A Practice Facility Guest Fee of $25 applies to guests who use our driving range or short game facility. 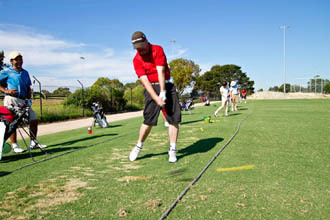 For lesson bookings please call the Golf Shop on 02.9349.2101 ext 1. Members are allowed to hit balls until dark (except for Monday and Thursday when the range is cleared so it can be mowed) but the ball dispenser will only be open during these hours.